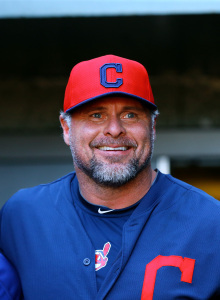 Former American League MVP Jason Giambi has decided to formally retire from playing baseball, he told Mark Feinsand of the New York Daily News. Giambi offered a lengthy statement thanking his family, agents, equipment providers, coaches, teammates and media for their role in his career. While the statement is too long for the purposes of this post, fans of Giambi can read it in its entirety in the linked article above. Giambi’s legacy will be somewhat tainted by that admission, but the numbers he put up over parts of 20 Major League seasons are impressive no matter how you slice them. In 8,908 career plate appearances, Giambi batted .277/.399/.516 with 440 home runs and 1,441 RBIs. Prior to today’s announcement, Giambi was also the active Major League leader in career walks, with 1,366, and he was worth about 50 wins above replacement per both Fangraphs and Baseball-Reference. He appeared on five All-Star teams, won two Silver Sluggers and had a pair of Top 5 MVP finishes — including a second-place finish in 2001 — in addition to his 2000 MVP honors. We at MLBTR wish Giambi and his family happiness and the best of luck in his post-playing days.